Though it’s not the Bundesliga, tomorrow’s game between 1. 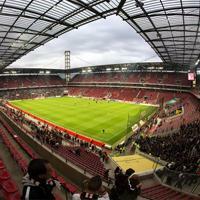 FC Köln and Jahn Regensburg (worst side in the 2nd league) may have attendance of some 50,000 people. Despite the club claiming this will allow fans to create great atmosphere, we beg to differ. Vast majority of fans will still have moderate (if not poor) view of the pitch. For those used to Upton Park, binoculars may come in handy. It’s hard to keep count of all the times, when its cost was announced to rise. It stopped at three times the original budget. So today’s announcement that local authorities managed to cut cost by $200 million must be seen as a surprise. No explanation as to ‘how’ was given, though. It’s been over a year since we’ve seen the ambitious vision of a stadium integrated with swimming pool and boarding school. Those have just been scrapped for financial reasons. 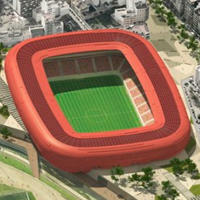 Instead, Lauzanne is planning two cheaper stadia. Looking at the seating layout of this one, we’d say it’s located somewhere in the United Kingdom. But no, it’s actually getting built in Israel. 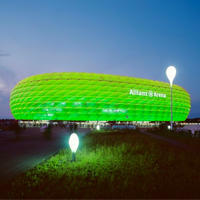 And following the concept of most popular Israeli stadium architects. 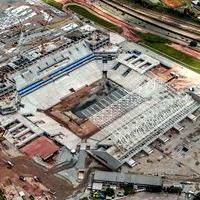 28.03.2013 Sao Paulo: Arena Corinthians construction to stop? It’s been months since Banco do Brasil and Sao Paulo municipality were supposed to transfer funds for the investment in Itaquera district. But so far Corinthians and Odebrecht had to finance all works themselves and now claim they’ve had enough. They threaten to stop works in upcoming weeks. It was due to be done by 2014, but now meeting this deadline sounds impossible. 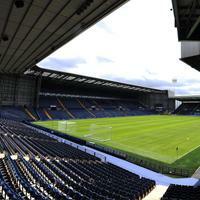 West Brom decided not to go forward with plans at this moment, though they assure it’s still their plan to go over the 30,000-seat mark. Express and Star reports. 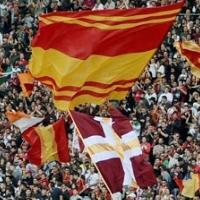 Ever since it was announced in 2009 the fan card, or Tessera del Tifoso, has been causing more displeasure than actual safety increase for fans. AS Roma was the first to try and break away in 2011. Now it’s also the first to try and bypass the system, by introducing a different card. 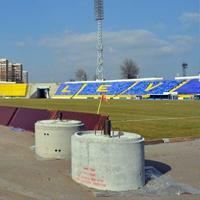 Today we go to western Ukraine and see where 1st league clubs of FK Lviv and Bukovyna play their games. 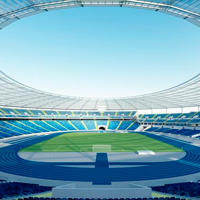 These stadiums never became too known outside of Ukraine. Well, time to change it! 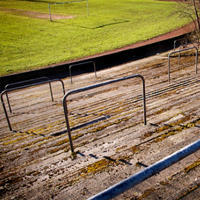 Two enthusiasts started campaigning to list the 86-year-old stadium in Slubice as historically significant. 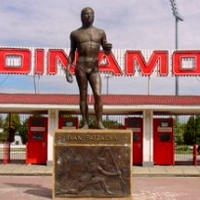 It’s hard to argue their cause, as there are few stadia – not only in Poland – with a history like that. Though built just 6 years ago, most modern stadium in Rio de Janeiro has structural issues that could lead to tragedy if not dealt with. Roof supports are cracked and the structure moves alarmingly. 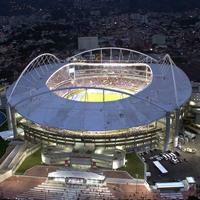 Rio mayor closed the stadium indefinitely. 27.03.2013 Lviv: Karpaty still not moving to Arena Lviv. Why? 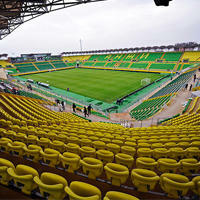 Yesterday some media informed about possible demolition of Arena Lviv, Euro 2012 host stadium. 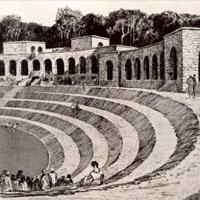 There is no such option, but it’s true that authorities are struggling to find any use for the venue. Preferred tenant Kaparty aren’t making it easier and present their expectations. 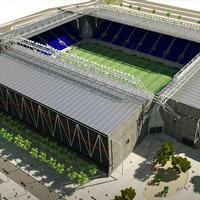 Four contenders hope to beat initial stadium contractor Sir Robert McAlpine to the chase. 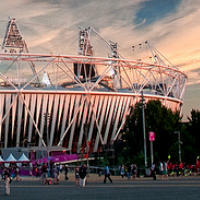 Contract worth potentially even £190 million is to be awarded by the end of 2013, according to Construction Enquirer. 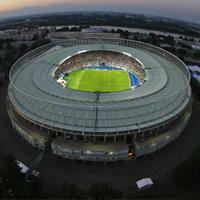 26.03.2013 Vienna: Brand new stadium for Euro 2020? Austrian football association is waiting for specific infrastructural criteria to check, whether any stadium in Austria meets them. 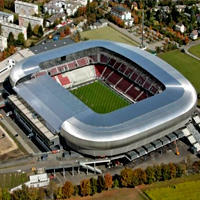 It may turn out that even Ernst-Happel-Stadion will not be enough, making a new build necessary, Der Standard reports. 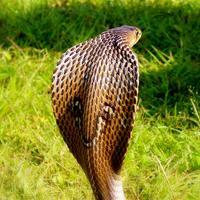 Indian cobras may be a pride of the nation, but once they enter the playing field, it’s still a pitch invasion. After the game of India’s leading club Mohun Bagan, staff had to throw out over a dozen deadly snakes, as Associated Press reports. 25.03.2013 Madrid: Real’s plans hanging by a thread? 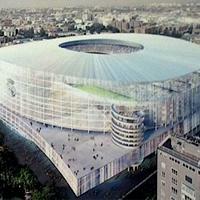 In October Real presented four finalists for future Bernabeu redevelopment. Best architects, stunning ideas and… nothing happened. Instead of a final selection the project is on hold, while local community and environmentalists attempt to sink it. Report by AS. 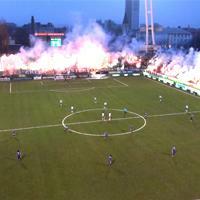 Club legends, film depicting club history, there were fireworks. Perhaps the only thing that yesterday’s ceremonial farewell lacked were goals. Anyhow, time to move on. And move, literally, 4 km up north. 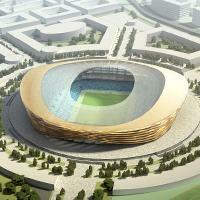 A new portion of Turkish stadiums just landed. Three of them are of less known Istanbul district clubs, one of which is currently chasing the Galata/Fener/Besiktas ‘big three’ in the league. Two others… aren’t, but we still find them really charming! 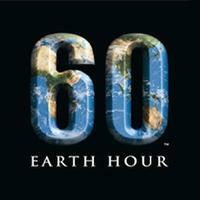 At 20:30 local time, landmarks all over the world will lose their nighttime lighting for one hour. The aim is to raise awareness and make people rethink when they need electricity and when they just use it as a habit. 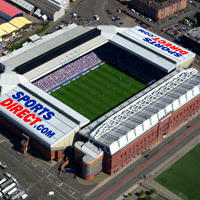 Stadia are among buildings going to black out. 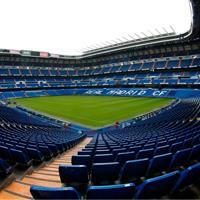 Leading fans’ associations of both Madrid clubs strongly oppose suggested pricing for their derby clash in Copa del Rey final. With most expensive entry possibly at €250, they fear fans would get priced out, despite having built it in the first place. 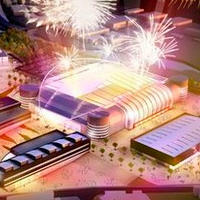 We may see the redevelopment begin as soon as in September this year. 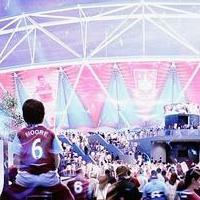 West Ham United are planning to move in by August 2016 as they agree all terms with LLDC. BBC report. 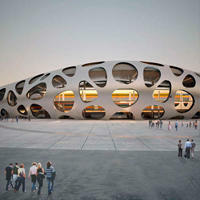 21.03.2013 Bucharest: Dinamo's new stadium in city centre? 21.03.2013 Holland: Shops inside the stadium to sink the dream of Heracles? 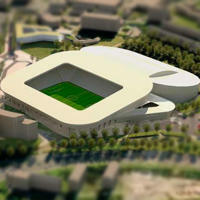 Heracles Almelo hope to build their new 15,000-seater along with private partners Wyckerveste and BAM. But consultants report that placing 22,000 sqm of shopping space isn't feasible. Council is to vote on the idea on Tuesday, retaildetail.nl informs. 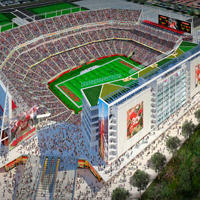 First plans were announced back in 2007, but only now it seems this stadium is indeed getting built after all. First time in history, a supporter-created club will have its own venue! They were deprived of their civil rights and haven't seen their team's game despite arriving at the stadium on time. Scandalous treatment of supporters caused Górnik Zabrze to intervene in every instance possible. 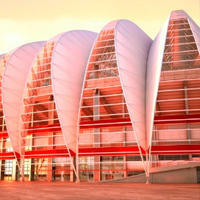 In 2014 there will be 65 of them and it's these elements that will create the impressive dome over Beira-Rio's stands. But so far the first giant leaf-shaped segment is being assembled, to be installed tomorrow. 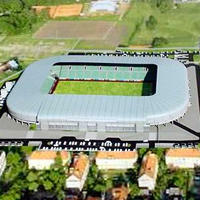 Ferencvárosi TC will play an estimated number of 40 upcoming games at the Ferenc Puskas Stadium instead of their Albert Florian Stadion. The outdated facility will be closed for demolition and new one is expected in late 2014. 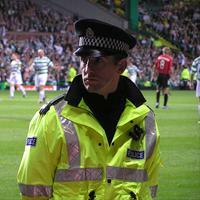 Despite safety restrictions often being criticised, it's usually the fans who speak up. This time they're fully backed by their club, who openly dismiss police claims that West Yorkshire Derby needs to be treated as highest risk game. Football Supporters Europe launched an internal survey among its members to establish, what rules apply around Europe concerning standing, seating and standing in seated areas. Seems simple to you? Well, it's not that simple in various countries. Today we have quite a tasty treat for you all: Probably the poshest temporary stadium ever, one of the best reserve team venues built anew and surely the most extreme away destination, almost 5 days one way – Vladivostok. 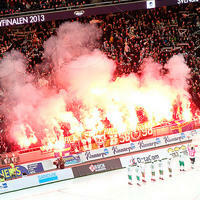 Flares were lit before the first game even began, but all of yesterday's events were carried out without major problems. Unfortunately some seats were broken by fans frustrated by their standing section not being prepared. First one is called by locals “Bombonera”, which of course refers to the legend from Buenos Aires. Looks differently, but surely has something to it! 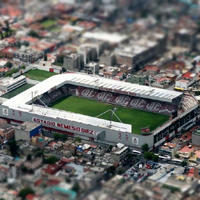 Second one is new, but already saw its first major success, despite being the smallest in Liga MX. Over 70 buildings are officially listed by Tourism Ireland and expected to have green illumination tonight, celebrating Saint Patrick's Day. Three major stadiums are on that list. 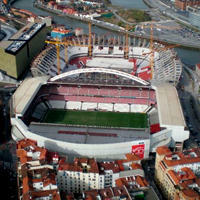 It was in 2010 that Real first announced plans to build a new stadium in its former spiritual home, south of the existing Son Moix. There were renderings, a financial plan, but it won't happen – the municipality refused this week. 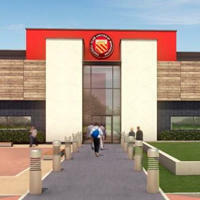 Talks began today about the plan to replace the old main stand with a new complex. It would include a conference centre, 120-room hotel, cinema and underground parking spots, The Herald reads. It doesn't matter how much Rubin attempted to hide this in the post-match reports, it's really hard to miss that Luzhniki stadium was almost empty on Thursday night. 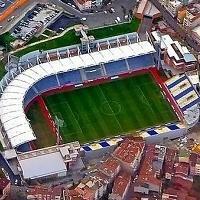 Europa League tie against Levante was seen by just 520 people! 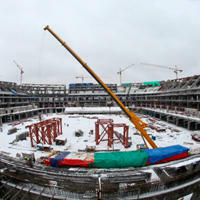 After the accident from 2011 works on the cover for Stadion Śląski have been halted. 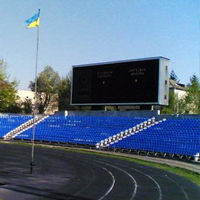 However, today voivodeship councillors decided that redesigning the roof and finishing the project will be better than leaving the stadium uncovered. 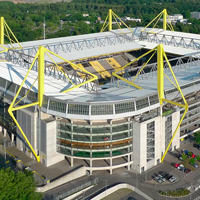 After photovoltaic batteries mounted onto the roof in Dortmund, Borussia is planning to improve its revenues and supporter facilities in the north-western corner of Westfalenstadion. Further commercial changes are also planned in Cologne. Since 2009 they've been fighting back for the position 'The Saints' used to have. 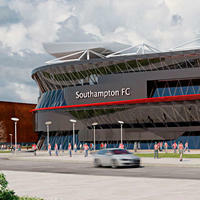 Bit by bit they're regaining it and redevelopment of St. Mary's Stadium is among the anticipated steps. 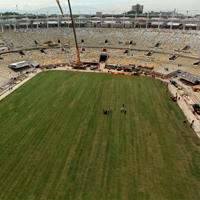 Yesterday marked a milestone at the site of what is to be Brazil's largest stadium. 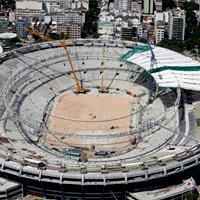 The famous Maracanã has its pitch in place, while installation of roof membrane and seats is progressing every day. 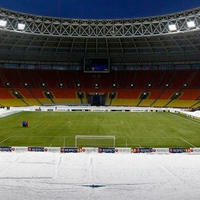 Possibly the largest existing stadium in the world is in dire state. 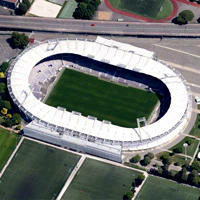 Facilities for the 120,000 spectators are below any standards and pitch is causing injuries. 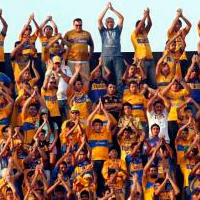 One of India's largest clubs appeals to authorities for help, ndtv.com reports. These lamps had previously been used to grow marijuana, until they were seized by local police in raids. 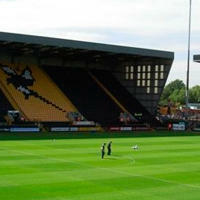 In an unusual step the force has donated lamps to Notts County, who hope they'll support grass growth at Meadow Lane, as Guardian reports. 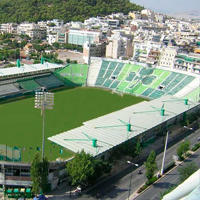 The impoverished powerhouse of Greek football prepare to move back to their historic Leoforos stadium. 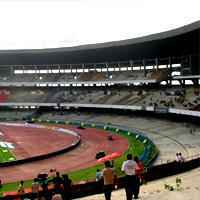 After current season ends, capacity is to be increased to reach 20,000 seats. 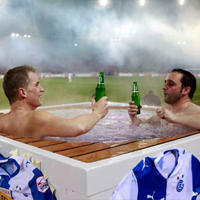 Unusual marketing tool was used in Zurich, where two fans of home side Grasshoppers were allowed to watch last weekend's game from a jacuzzi set up just behind the pitch. 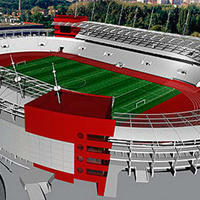 12.03.2013 Milan: Inter stadium smaller, but better? 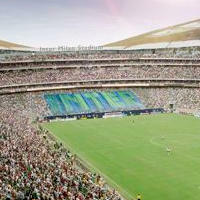 The planned stadium of Inter may turn out a lot smaller than planned initially. But, if press leaks prove true, it may be among the most impressive and modern worldwide. 12.03.2013 Oslo: Vålerenga to open their new stadium in 2016? 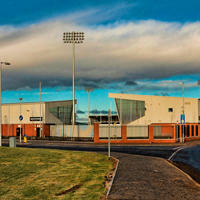 It was due to be ready for the club's centenary this July, but not even one shovel has hit the ground. Vålerenga have the plot waiting 5 years now, so they encourage naming rights partners to join the project, FinansAvisen informs. 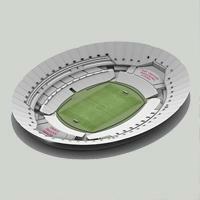 12.03.2013 England: New stadium to replace Don Valley? In an unexpected spin the set-to-be-closed Don Valley Stadium may be replaced by a brand new rugby arena with indoor halls and more infrastructure around. What is certain already, is that Sheffield municipality cannot afford to participate in such a project, BBC reports. Starting today we'll be showing the progress at Tychy Municipal Stadium construction site. Demolition of the 41-year-old structure is already advanced, soon we should see first elements of the new venue, expected to be ready in early 2015. Currently it's 50% done and contractors await for spring to come for good before they intensify works. 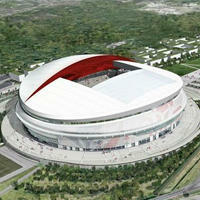 Most modern stadium in Belarus is to open in late 2013, with a slight delay – according to TVR. 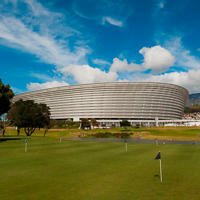 When it was still only on paper, the new stadium at Green Point met with strong opposition from local residents. So a ban on commercial outlets inside was announced. Now authorities want to waive the ban, but show little evidence this will improve the venue's financials – say residents. 11.03.2013 Indonesia: Jakarta giant to stay empty? 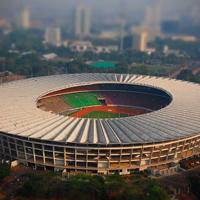 Indonesian national team is urged to pay for the lease of Gelora Bung Karno, one of Asia's largest stadiums. If arrears aren't covered immediately, Indonesia won't be able to play at its own national stadium, according to Jawaban News. It's still a lot of work before the steel giant in Santa Clara gets build and operable in summer next year. But the interest in seat licences is huge with over 46,000 already taken, including almost all of the premium allocations. This kind of away games is rarely seen anywhere in the world and even fewer times with this kind of distance between the two cities. But yesterday San Luis Potosi got invaded by some 23,000 away fans, leaving just a small piece of the stadium for home side. Today the place has a supermarket, but exactly 67 years ago the most horrific tragedy in English football (of that time) took place. 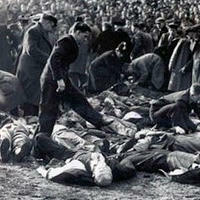 In a matter of minutes 33 people lost lives as the crowd surged forward at Burnden Park. 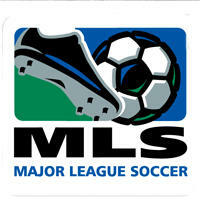 With up to 18,000 seats this could be a future MLS expansion address. 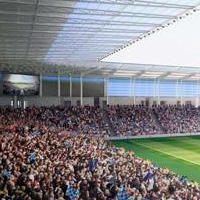 City council of Elk Grove will be asked to support the project worth an estimated $100 million, bizjournals.com reports. 21 hooligans are to be hanged, 5 will serve life sentences. 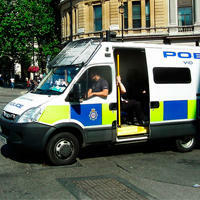 Two high officers of the police are to be imprisoned for 15 years. These are just some decisions confirmed today in Cairo, Reuters reports. 08.03.2013 Stoke: Who's afraid of newspapers? 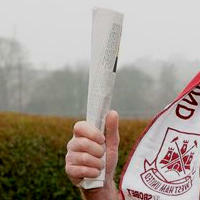 West Ham supporter was stunned upon entry to Britannia Stadium, as he was informed the newspaper he was carrying may be used as a weapon and needs to be left outside the ground. 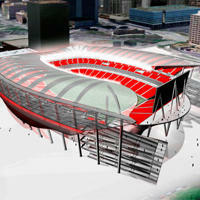 08.03.2013 Atlanta: One more $1bln stadium coming up? Two are operating, one under construction and several more waiting to be built. Now it seems Atlanta may join the club of most expensive stadia as mayor and Falcons owner announce partnership to make the dream happen. Monumental structure has already reached its peak with steel roof supports in place. Meanwhile on the terraces seats started appearing. 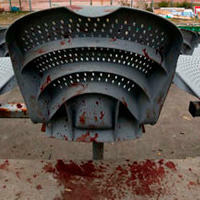 Which leads us to the bad news – demolition of the cult “Cathedral” will start this summer. 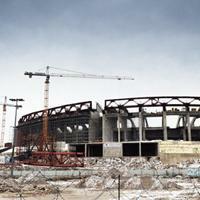 07.03.2013 Bucharest: Dinamo moving to a new stadium soon? 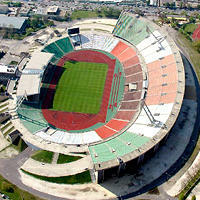 Construction may start in half a year and the outcome is to be a new 12,000-seater in suburban district of Bucharest. 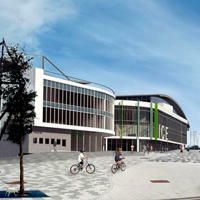 In exchange the private investor expects to build a mall in the place of the current venue, Gazeta Sporturilor writes. Its schedule was very tight already in 2010. Now, after several delays, it's extremely tense. FIFA secretary general expressed his serious concerns as the stadium is to be ready weeks after the final deadline set by FIFA. 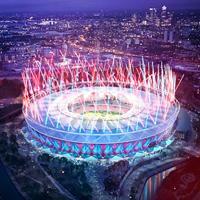 It's been barely two days since we've heard West Ham and LLDC are close to signing the 99-year lease for Olympic Stadium. Well, they may be forced to start over for the third time as Leyton Orient demand judicial review of the procedure leading to West Ham being selected in the first place. 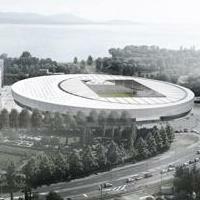 In early February we were treated to the new, unique design of France's largest stadium. And despite other finalists being rather shy about their work, we now give you two other concepts that didn't prove equally convincing to the French Rugby Federation (FFR). 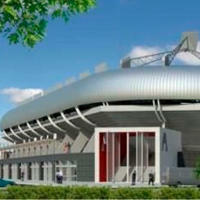 Despite the redevelopment bringing capacity down instead of increasing it, works will be carried out throughout the stadium. 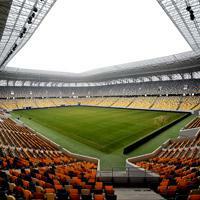 Before Euro 2016 each stand will be reconfigured – info-stades.fr reports. 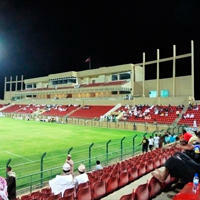 One venue to be expanded, three built anew – this is the plan for upcoming years in Oman. Sports minister announced the vision of sports infrastructure improvement, especially in the north of the country. It's hard to find a crisis that hasn't taken place at the “never-ending construction” in St. Petersburg. But this time it's sadder than before, as a man lost his life. 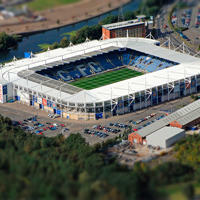 They lost it at the very start of King Power Stadium existence and only retrieved control on Friday, when Thai owners of the club bought it back for £17 million, BBC reveals. 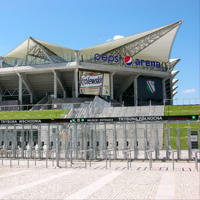 After fatal accident in Bolivia, Corinthians were ordered to play in front of empty stands. 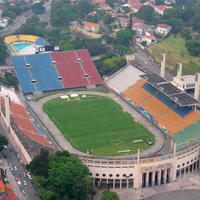 However four fans challenged the decision in court and won themselves entrance to the Pacaembu. 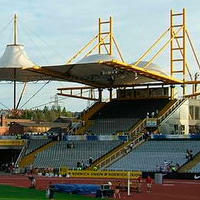 Currently the best athletic stadium in England is to be demolished in an attempt to cut costs. Previously discussed, the move is now confirmed, despite criticism over potential negative influence on sports in Sheffield. 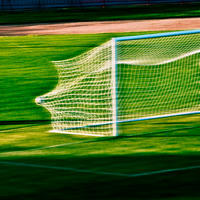 The Premier League has confirmed that goal-line technology will be in place for the start of the 2013-14 season. FIFA has already said that goal-line technology will be used at this year’s Confederations Cup and the World Cup 2014 in Brazil. Report by FSF.org.uk.